For 20 years Walt Disney attempted to buy the film rights to P.L. Travers’ first Mary Poppins book. It wasn’t until she was offered final script approval that the author finally agreed to consider the idea. The movie is split into two timelines, main story takes place during the couple of weeks that P.L. 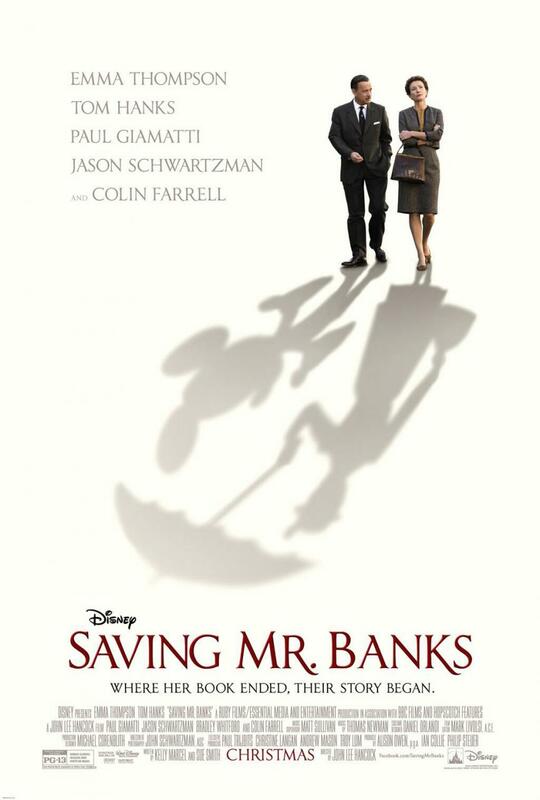 Travers spent working on the script, but every so often the film jumps back in time to explore the tragic childhood that led to the creation of Mary Poppins. A serious, strong and uncompromising woman, Travers is portrayed brilliantly by Emma Thompson who manages to bring a warmth to the seemingly cold character. While she does open up somewhat over the course of the movie it isn’t forced and her serious nature allows for some great one liners. 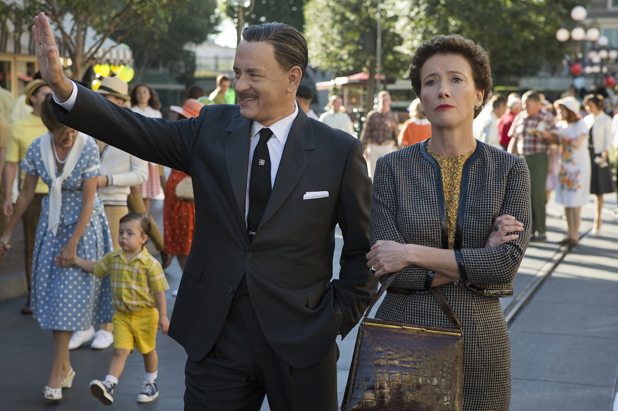 At the beginning of the story, Walt Disney, played by Tom Hanks, is presented as the complete opposite of Travers. He is informal, fun and lighthearted. Though as the film goes on he reveals that the two are more alike than you’d think. Though the movie may have went light on some of the more negative aspects of Walt Disney, it seems that the story is close enough to the truth to not be disrespectful. Neither party comes across particularly bad in the movie. The second timeline, shows Travers as a young girl living in Australia with her family. At the beginning she appears to have the ideal childhood, but some the cracks begin to show as her childlike father, who she loves more than anyone, succumbs to his personal demons. 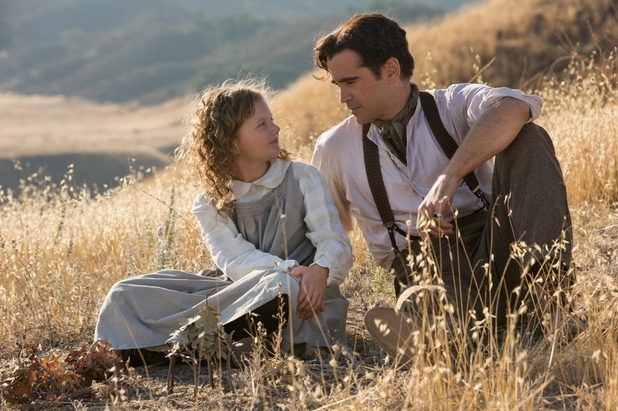 Colin Farrell plays Travers’ father. This is a role that really gives him the opportunity to show how good an actor he is and he lives up to it. Though it may not be the primary timeline of the story it is definitely the heart and will likely end up being the most fondly remembered part of the film. It may not be the unflinching truth of what really happened, but it was a great story that has just enough truth to please fans of Travers and Disney. What do you think? Are you excited to see the story behind Mary Poppins? Leave your thoughts in the comments below. This entry was posted on November 29, 2013 by adamodwyer1. It was filed under Documentary and was tagged with banks, mr, review, saving.